Welcome to Casa Blanca in Scottsdale's Desert Mountain! 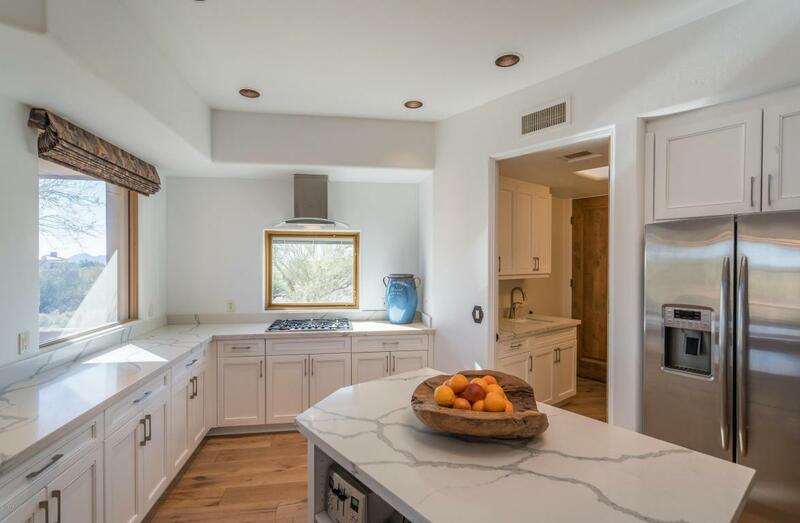 This exquisite remodel is situated at the end of the cul-de-sac exuding privacy by being surrounded on three sides by the beautiful natural desert landscape and boasting magnificent views of Apache's first fairway, the prized McDowell Mountains and a sprinkle of city lights. New white oak floors throughout, porcelain tile bathrooms, and quartz countertops in the epicurean kitchen. The open floor plan has fresh alabaster paint, added windows and glass doors that create maximum light infusion. The patios have been extended to give more space for viewing the far reaching views. This quaint lock and leave is just steps away from the pool and a quick walk to the Apache Clubhouse and driving range. Live the dream today.